Each year, millions outside Nevada wager on the Super Bowl…illegally. 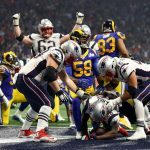 But this year, thanks to a 2018 Supreme Court ruling to overturn a federal ban on sports betting, residents and visitors of eight states can get down on Sunday’s New England Patriots-Los Angeles Rams game. Nevada takes in over $125 million in bets annually on the NFL’s championship game. More than half of those wagers are placed on or near the Las Vegas Strip. This Sunday, however, one northeastern state is expected to account for a significant portion of the gambling revenue on what is America’s most popular sporting event. Yahoo Sports estimates that 1 million people in America will wager on this year’s Super Bowl. Total revenue could hit $325 million nationally. And it won’t just be Nevada raking in the dough. Experts project New Jersey will also bring in big bucks from gamblers on Super Bowl Sunday. In fact, the Garden State will account for nearly one-third of the total gambling revenue (around $100 million). Six other states also have legal sportsbooks up and running. Legislators in Arkansas and New York also legalized sports betting. But sportsbooks have yet to be licensed in those states. Perhaps, that will happen before next year’s big game. With seven additional states on board, Super Bowl betting will nearly double this year. 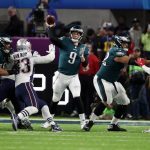 In 2018, Nevada sportsbooks took in $159 million in bets on the Philadelphia Eagles-New England Patriots contest. That’s barely half the amount expected to be wagered legally this year all because of the US Supreme Court. Another few years and we might have legal sports betting in half the country. In 27 other states, a recent bill was introduced but, in most cases, is still in the early stages. As poker players have learned, gambling legislation takes time. 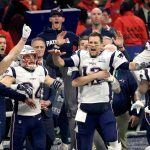 New England will compete in the Super Bowl for the ninth time since 2001 when they defeated the then-St. Louis Rams 20-17 on a last-second field goal from almost always clutch Adam Vinatieri. St. Louis was favored by 14 points on that day. Few predicted a young Tom Brady could lead the Patriots offense to enough points to keep up with the team dubbed “the greatest show on turf.” But, as it turned out, he didn’t have to. 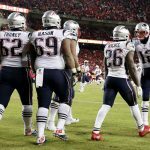 New England’s stingy defense stifled future Hall of Fame quarterback Kurt Warner and the Rams offense all game. 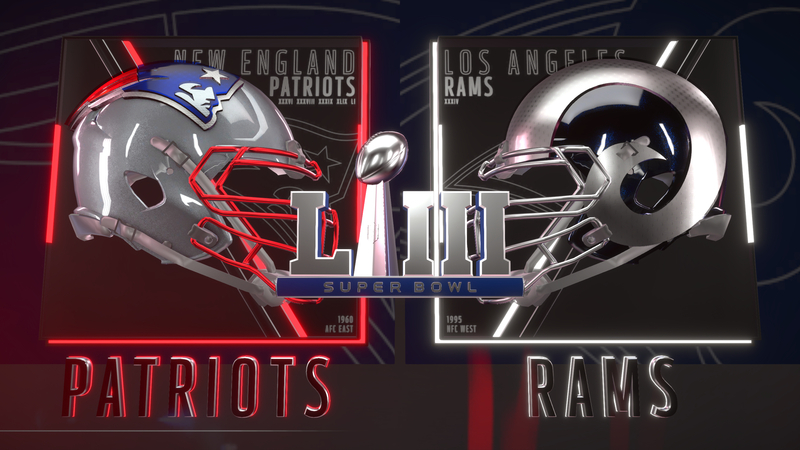 The Rams have since moved out West where they originated and, 17 years later, finally have an opportunity to seek revenge. Brady is still in New England, as is head coach Bill Belichick. And although the rest of the players are gone from Super Bowl XXXVI, the Patriots dominance has continued. This time around, New England isn’t the underdog. Their trophy case now has five Lombardi Trophies and they are favored by 2.5 points. But you can’t count out the Rams, the team tied with New Orleans for the best record in the NFL during the regular season (13-3). With Jared Goff under center and Todd Gurley carrying the ball, two of the brightest young stars in the NFL, they can beat anyone. In fact, we predict Los Angeles, behind its potent offense, to pull off a slight upset in a high-scoring affair. So! While I can understand why a country may want to limit the risk of gambling on its residents, I never have understood the bizarre situation in the United States of America, where each state has the power to makes its own decisions…. not just for gambling but on a whole range of things. Now, while I would never dream of liking the situation in East and West Berlin before 1989 to how life is in the mighty US of A, it does make you think how different parts of the same country with different ideals differentiate between its people. Good luck to all of those who are able to legally bet on the game. It’s very strange! It seems that each state is in practice another country within the country itself. And in relation to legalization, if the government takes a part, then the game is cool, even without it needing to do anything? It’s fair? USA seems to have very odd laws. Guns for everyone is fine betting on your favorite sports team is illegal. Wow I didn’t know that gambling was alowed in some states and not in others. So crazy, I already wondered why so many people went to Vegas for the Super Bowl. Now it all makes sense, since they can’t gamble in their own state.